This beautiful 16th century Grade II Listed manor house sits in an elevated position just outside of the quintessential Wiltshire village of Swallowcliffe. It is believed that there has been a settlement at this site since at least the Iron Age, but the existing property at Swallowcliffe Manor dates back to the 16th century. Inside, the house has good ceiling heights and large windows letting in plenty of light. The symmetrical nature of the house allows for double and triple aspect rooms, while the property provides flexible living over three floors and has extensive cellars. Of particular note is the entrance hall which boasts many traditional features including a beautiful stone floor. For all its charm, the house would certainly benefit from some modernisation. On the first floor is the substantial master suite with dressing room and bathroom, five further bedrooms, and three further bathrooms. The second floor offers the further bedrooms as well as a secondary kitchen and extensive attic storage with potential to convert. Almost all of the gardens lie on the south and western sides of the house, with far reaching views across the valley. The garden is well matured and of a manageable size and includes a walled garden that encloses the swimming pool. Beyond the garden is a fenced paddock which contains the foundation layout of the old Iron Age settlement, and was also the site of an old tennis court but is currently used for the grazing of sheep. Further land lies to the north west and south side of the house. There is extensive woodland within the grounds containing a variety of species – the land comes to around seven acres. Adjacent to the house are a number of outbuildings dating back to the early 20th century that include a garage for three cars, open garaging for a further four cars, garden sheds, greenhouse, stabling for five horses and a tack room. 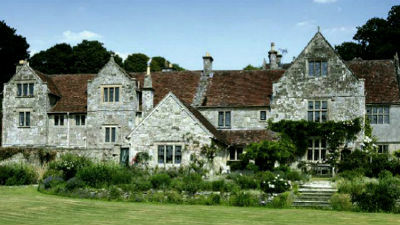 Swallowcliffe Manor is located just outside the Wiltshire village of Swallowcliffe, just two miles from Tisbury. Shaftesbury is nine miles and Salisbury 13 miles. Heathrow Airport is 89 miles. The guide price is £2,950,000. For further information please contact Knight Frank on 0207 861 1549 or visit http://search.knightfrank.com.